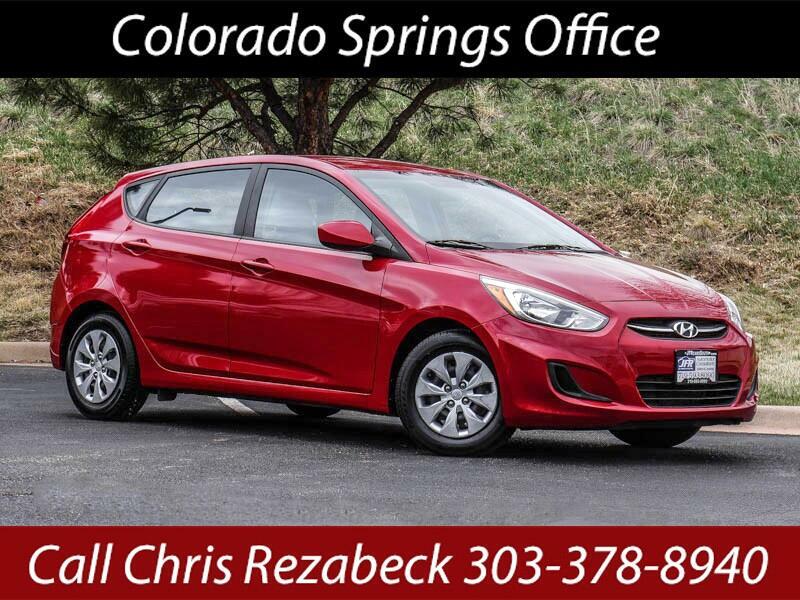 Used 2017 Hyundai Accent SE 5-Door 6A for Sale in Littleton CO 80120 JFR & Associates, Inc.
Once again this Hyundai Accent is a top choice if you're looking for performance, style, comfort, and utility. Fuel economy is exceptional (City: 26 - Hwy: 36); fewer stops at the gas pump mean more money in your pocket at the end of every month. You'll find this Accent offers an elegant style and look that can handle your daily chores. It's one of the quickest cars in its class. Merging in traffic is a breeze, smooth and fast. This Accent also rates near the top in performance and drivability. It's easy to drive around town and parking is effortless. The cabin offers a comfortable and quiet ride with seats that are pleasant and cozy for the long haul and your daily trips. This Accent overall ride quality is one of the best and its class. You'll find plenty of room for you and your passengers. You are cordially invited to take this superb-looking Hyundai Accent for a test drive and discover for yourself why this car is so popular. Contact us today and schedule your test drive.any questions or if you would like to schedule an appointment to see this vehicle.